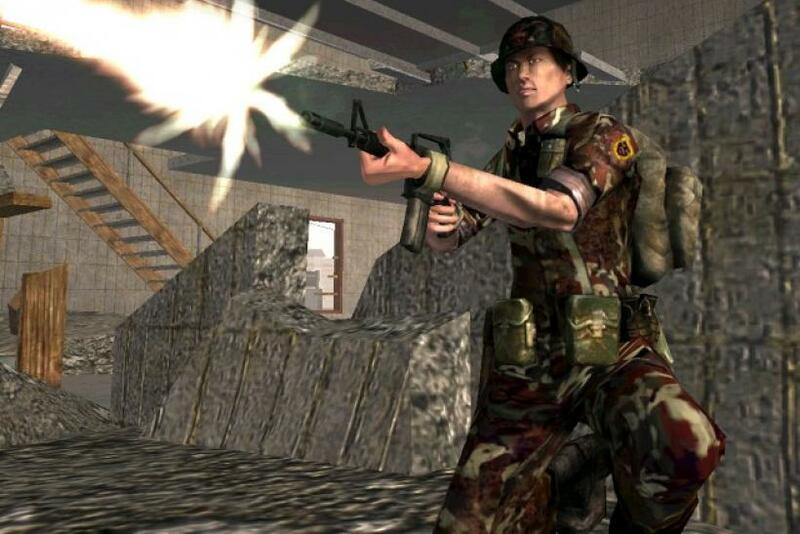 EA DICE celebrates the launch of 'Battlefield Vietnam' one decade ago. In a trip down memory lane, EA DICE sat down with four of the many DICE developers and employees behind the iconic game – Roland Smedberg, Bjorn Hedberg, Patrik O’Shaughnessy and Oscar Carlen. The four discussed the game’s role in future “Battlefield” titles and what it did for the franchise overall. A decade ago, the Battlefield franchise was in its cradle – but the impact of the groundbreaking Battlefield 1942 and its expansions had been heard clearly around the world. Naturally, fans of the game was eager to see what was on the horizon. Development duties for the next Battlefield fell upon the newly opened DICE Canada who on March 14, 2004, released the game that now is hitting the big 1-0: Battlefield Vietnam. This asymmetry between the two factions, based on the actual war in Vietnam, gave players vastly different conditions when playing for either the Green Beret or NVA side. Even though the US had access to heavy artillery, their enemies had potent counter-measures and other advantages designed to balance the gameplay. For instance, players who preferred the Vietnam side will remember the spawning advantages of the Sipi Holes. As the trailer above demonstrates, one other unique and iconic aspect of Battlefield Vietnam was the licensed soundtrack. Among others, bands like Deep Purple, Creedence Clearwater Revival, and The Trashmen all contributed to the special atmosphere of the game, and for Battlefield fans it’s hard to hear “The Ride of the Valkyries” without thinking about their clashes in Battlefield Vietnam. Did you play "Battlefield Vietnam?" Leave a comment below!